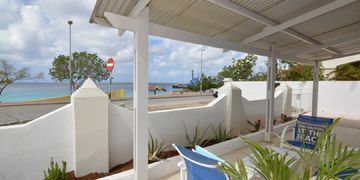 North of Sabadeco, less then 2 minutes walk to the dive site Oil Slick Leap, with very easy access to the Caribbean Sea. 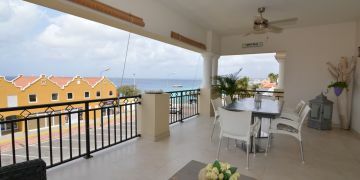 From the porch and sundeck you will enjoy the marvelous views over the Caribbean Sea and Klein Bonaire. Entrance in hallway, guest toilet, living area and kitchen with storage room. From the hallway steps to bedroom with built-in-closet and ensuite bathroom. 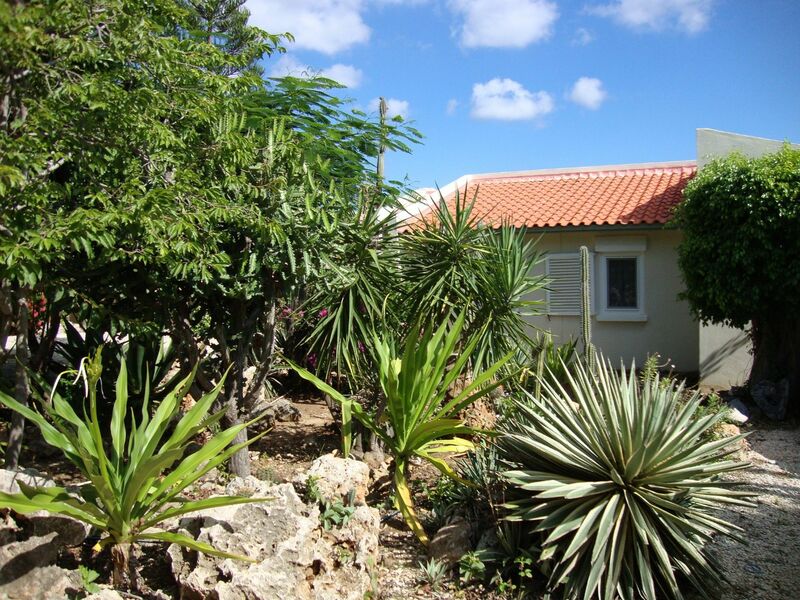 Inner garden with path leading to second bedroom with built-in-closet and ensuite bathroom. From living and kitchen glass doors to covered back porch and outside patio.